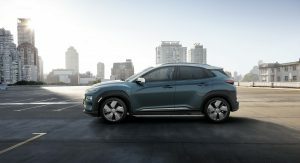 Hyundai has announced pricing and range details for the Kona Electric, the company’s second all-electric model which will be available with two battery options. 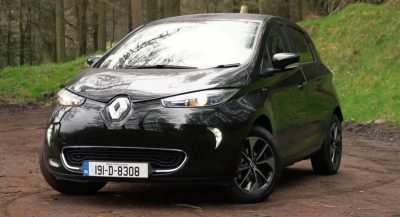 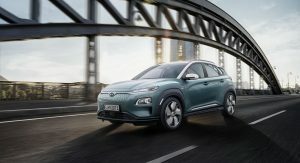 The entry-level model will offer a 39kWh battery pack along with a 133hp (135PS) electric motor, starting from £24,995 including UK’s £4500 plug-in car grant. 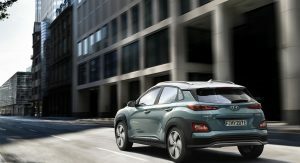 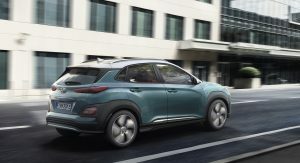 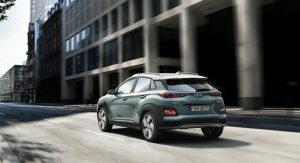 Hyundai will also offer a long-range version of the Kona Electric with a 64kWh battery pack and a 201hp (204PS) electric motor, priced from £29,495, including the local government’s incentive. 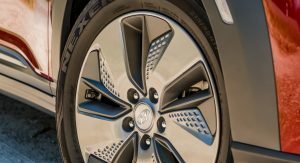 Both versions have the same torque figure, at 291 lb-ft (395Nm). 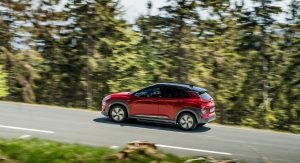 Hyundai reckons that the new Kona Electric offers an estimated 194 miles of driving range (312km) with the smaller battery pack and 300 miles (482km) with the larger option. 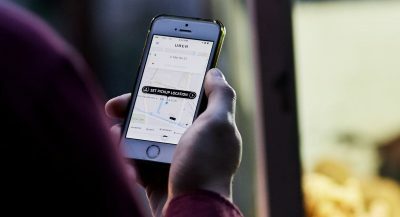 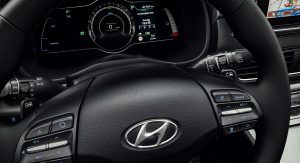 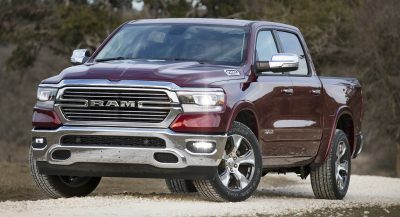 0-62mph (100km/h) comes in 9.3 seconds for the base model and in 7.6 seconds for the range-topper, while top speed is 96mph (154km/h) and 104mph (167km/h) respectively. 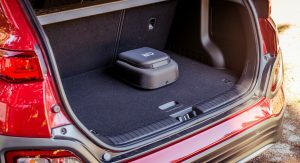 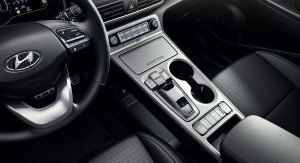 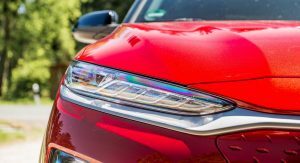 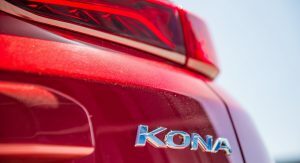 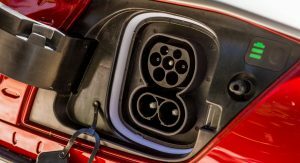 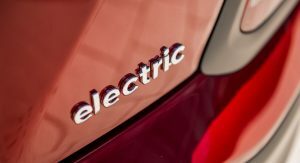 “With the 64kWh offering a potential 300 mile range, Kona Electric will not only appeal to customers who are already familiar with battery electric technology but perhaps more importantly, will enable some customers to take the step into electric vehicles by not only removing range anxiety but by doing so with a stylish, technically advanced and affordable package”, said Tony Whitehorn, President and CEO Hyundai Motor UK. 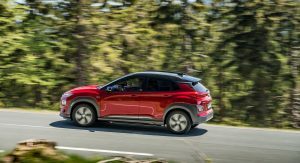 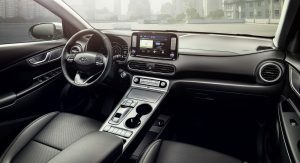 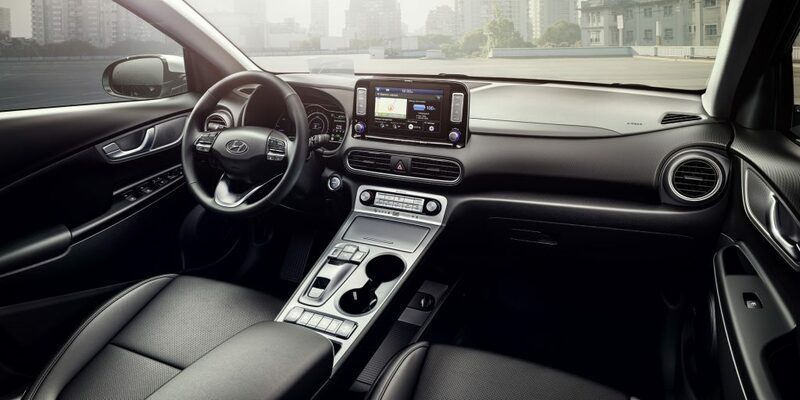 As for charging times, Hyundai says that the Kona Electric with the 39kWh battery pack can be charged up to 80 percent of its capacity in 75 minutes from a public 50kW charger. 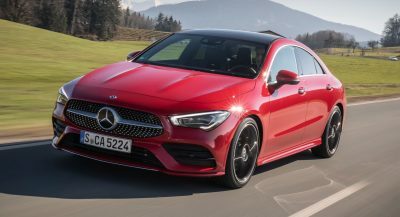 UK customers will get to choose between six available colors: Galactic Grey, Chalk White, Tangerine Comet, Ceramic Blue, Pulse Red and Acid Yellow. 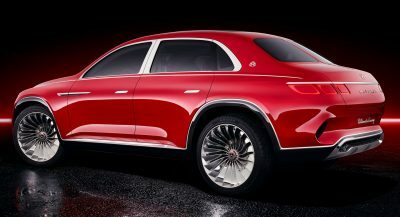 The two-tone roof is a £420 option. 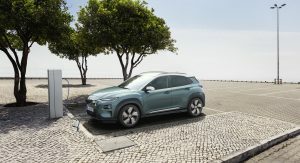 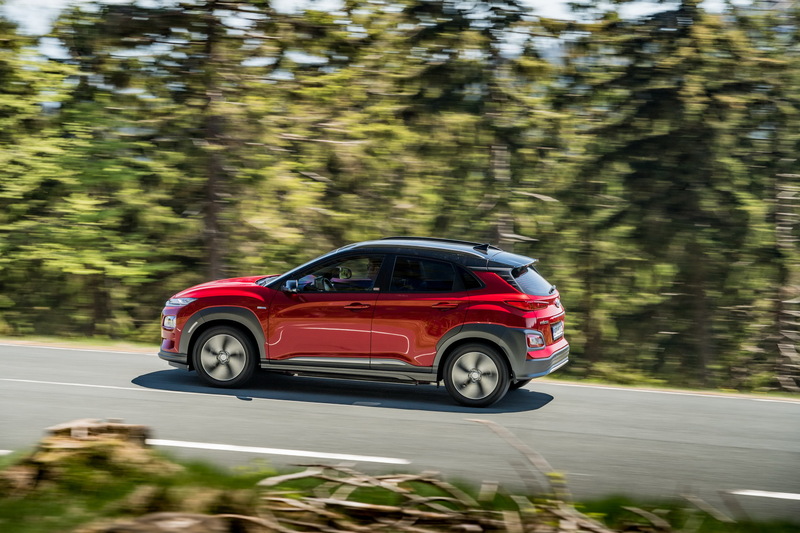 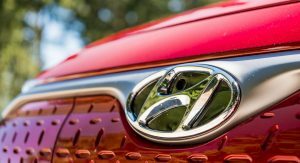 Order books for the new Hyundai Kona Electric will open on August 2, with first deliveries expected to take place towards the end of the year.